Your next reunion should be held at a place with not only the lodging you need, but with experiences and amenities that lead to laughter, joy, and lifelong memories. 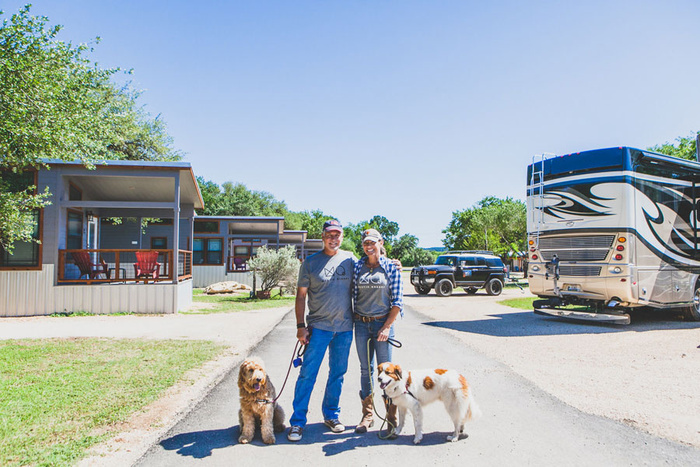 At Mystic Quarry, our Canyon Lake campground is the perfect setting for reunions of all kinds. Whether you're bringing your family together or reconnecting with your college roommates, we've created a unique place to relax, rewind and enjoy each other's company. See just three reasons why you should book your next reunion at Mystic Quarry, and contact us today to see how we can accommodate your group. From tiny houses to dog-friendly cottages, there's an accommodation type that everyone can enjoy. Our 399 square feet tiny houses feature modern architecture, on-demand hot water, and even full kitchens. 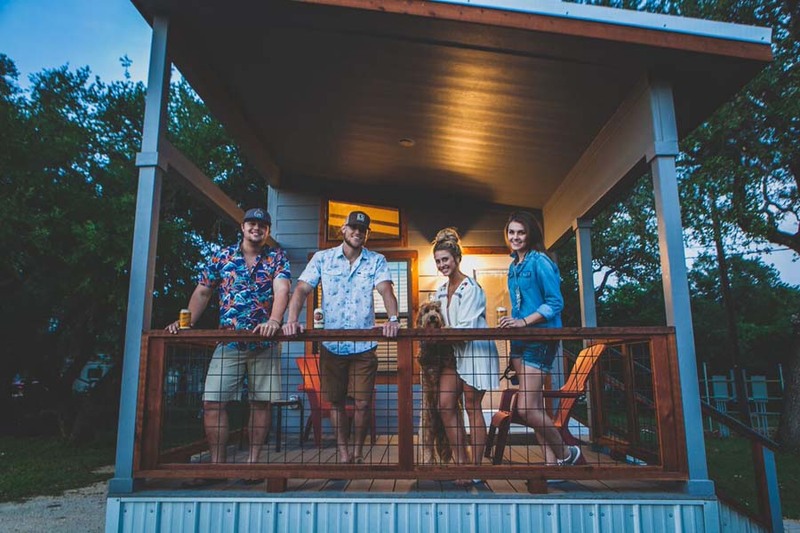 Some tiny houses even have sleeping lofts to add additional square feet so families or groups of 6 people can stay together. Or, our cottages are perfect for dog-lovers, so you don't need to worry about finding a sitter! 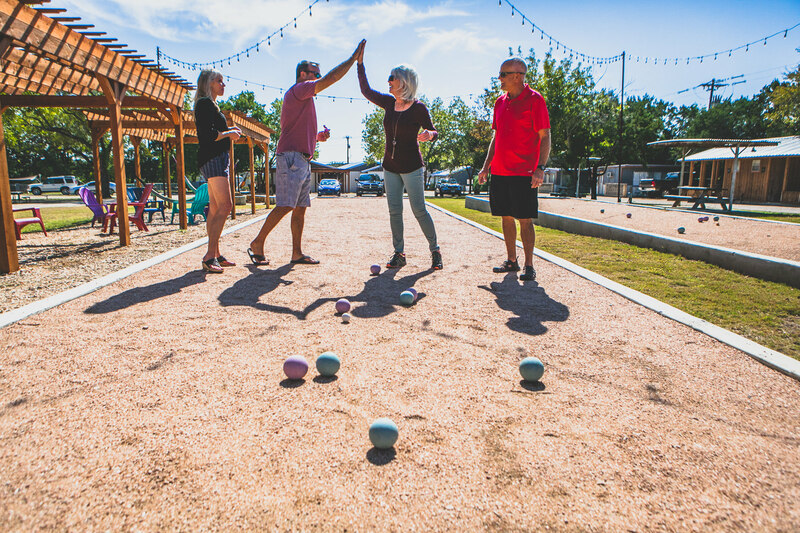 We're proud to offer a variety of activities that all ages can enjoy within our campgrounds including a large swimming pool, rooftop deck, hiking & biking trails, bocce courts, horseshoe pits, volleyball courts, and more! There is a host of natural wildlife to see as well with bee hives, chicken coops and even bat boxes on site. From a trip to the river to fish or tube, to a rooftop deck for drinking and dancing, there's always something to do during your stay. 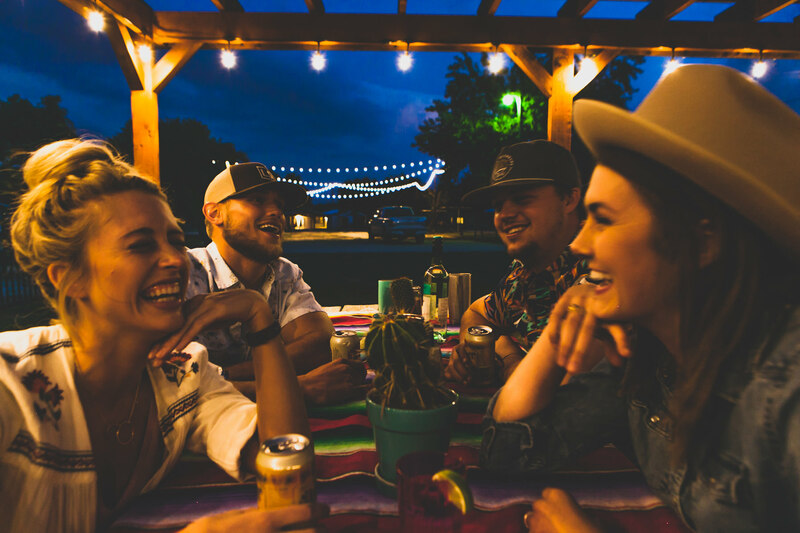 If you do want to venture outside our grounds, we're conveniently located near Gruene, Wimberly, and the Whitewater Amphitheater, so there is plenty to do nearby including dancing, concerts, wine-tasting and more. You can even plan your reunion around popular events in the area such as Wurstfest, The Gruene Music and Wine festival, and more. Our staff will do everything they can to make your reunion unforgettable through their attentive service. We've poured our hearts into Mystic Quarry, and thought of every little detail. We wanted to create a place where everyone could go to experience nature in a comfortable and relaxing way. All our staff echoes these sentiments and will ensure that your family has a great experience from your arrival at check-in to your final moments at check-out. We're always around for questions and happy to assist, ensuring your stay at Mystic Quarry will be magical. Interested in learning more? Give us a call or explore our accommodations online today!